By LUDWIG VON KOOPA - Take small bites! We continue our long line of strategy guides for KoopaTV's amazing browser-based Flash game, The Wonderful 1237! The Wonderful 1237 features seventeen unique minigames, all from each of the seventeen Republican presidential candidates you will be competing with. This is our fourth such guide. As explained in the Wonderful Wednesday article about those minigames, I'll be writing these strategy guides — one for each candidate, in a specific order. This one is about the guy who is the current governor of Ohio: John Kasich. 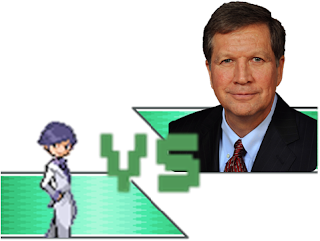 In real life, John Kasich was the last candidate standing against Donald Trump — he absolutely refused to drop out. He's the real-life version of what happens when candidates refuse to drop out of the race. His poll numbers went up just because he was one of the last people around. Why would anyone drop out if you can do that? By LUDWIG VON KOOPA - Before it inevitably happens, let's establish some criteria. Two days ago on April 22nd, 2017, Pokémon Diamond Version and Pokémon Pearl Version (weird to think that “version” is technically a part of the name) had their tenth anniversary in North America! While I normally don't care about anniversaries, I know you guys do. Plus, KoopaTV's staff are made up of a bunch of Sinnoh supremacists, so hey, might as well take the opportunity to talk. The Sinnoh-related thing on every Pokémon fan's mind is that we're supposed to be getting Sinnoh remakes soon. Just three years ago at around this time of year, The Pokémon Company International announced Pokémon Omega Ruby and Pokémon Alpha Sapphire to everyone's acclaim except my own. (That was eleven years after Pokémon Ruby Version and Pokémon Sapphire Version were released.) There's a pattern of new generation, third version (or sequels, if you're really tricky), and remake of two–three generations prior (Generation 5 ended too quickly to have the Generation 3 remake). We just began Generation 7 last year when Pokémon Sun Version and Pokémon Moon Version released, and Pokémon is arguably an annual release. What will happen this year? Plus, there's this new Pokémon movie with Marshadow in it that is a throwback to Ash's original Kanto adventures, but there is a girl with a PIPLUP and a guy with a LUCARIO in it for some reason... Hm... What could they POSSIBLY be doing there...? A promotion of things to come? Personally, the Sinnoh-related thing that's also still on my mind are all of the Super Contest references in KoopaTV's videogame, The Wonderful 1237, so I'll start off by talking about that and then move to a variety of other concerns. By LUDWIG VON KOOPA - Carrying his water. It has been a brief intermission, but welcome back to Wonderful Wednesdays, the series of articles that all have to do with KoopaTV's amazing browser-based Flash game, The Wonderful 1237! The Wonderful 1237 features seventeen unique minigames, all from each of the seventeen Republican presidential candidates you will be competing with. 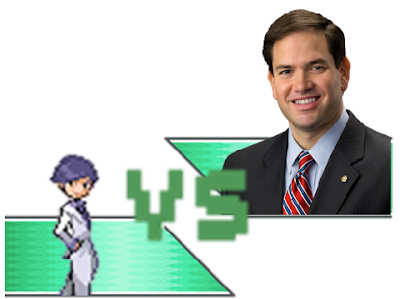 This will be the THIRD candidate to cover: Marco Rubio! As explained in the Wonderful Wednesday article about those minigames, I'm writing these strategy guides — one for each candidate, in a specific order. This one is about the man that critics called the “Republican Obama” who only won one real state (Minnesota — he also won Washington D.C. and Puerto Rico) in the actual primaries: Senator Marco Rubio. Marco Rubio is slightly below average in terms of candidate viability in The Wonderful 1237, which has gotta stink for him. He, however, has the most complicated minigame, and definitely has the potential to make it very far — making his minigame able to count for many delegates. He's also the Coolest candidate — which is useful for getting through Iowa, and then the latter half of states if he makes it that far. Marco Rubio is likely to struggle in the states after Iowa and before the latter half, however. By LUDWIG VON KOOPA - Featuring a change in how these reaction logs are done. Welcome to another edition of a LIVE KoopaTV live reaction log, featuring your favourite (and least-favourite) KoopaTV staffers chatting in real-time to an event. Today, we present to you the Nintendo Direct that is supposed to be about games for the Nintendo 3DS and Nintendo Switch, mainly focusing on ARMS and Splatoon 2. Not sure where the 3DS comes into play for that. There is an important process change this time around. Our reliable technological partner, AOL Instant Messenger (AIM), which hasn't changed for, like, a decade, all of a sudden decided yesterday to eliminate the superior AIM version 7.5 and forced the world to use inferior AIM version 8.0. They've existed concurrently for many years, but, hey, let's break what's working. For this reaction log, we're still on AIM, but I've moved to using AIM through Pidgin, which is how Rawk has been using it this whole time. Because of how Pidgin works, I'm no longer in the log as Nintendork 13 13! ...But Kamek and Vortexica are in the log as Ultralink1000 and breezinabout. Oh well. 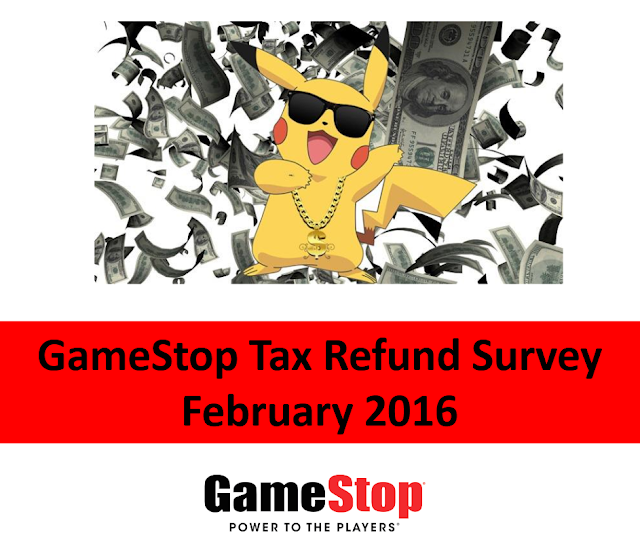 By LUDWIG VON KOOPA - Well, besides the inventory issues, more time wouldn't fix anything. It might even make the problems worse. The Nintendo Switch has been released worldwide for five weeks now, and people still have to put in a lot of search costs and planning to obtain one. 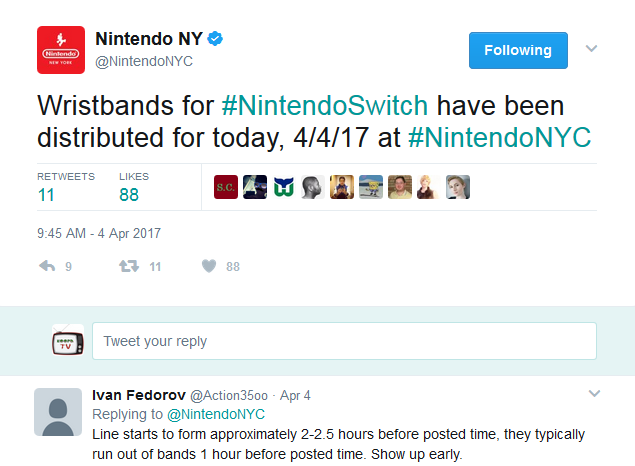 The entire Nintendo NY Twitter account is dedicated to talking about how they've run out of wristbands every day. Million(s) of Nintendo Switch units have been sold, and those fortunate enough to have one are enjoying The Legend of Zelda: Breath of the Wild. Still, some people who have a Switch, and many people who don't have one but follow things closely, believe that there are some quality issues with the new console and its accessories. They also are wondering why there wasn't much more other than The Legend of Zelda: Breath of the Wild at launch. To these people, the Nintendo Switch launch was rushed and it should've been delayed for months... even to the end of the year. By GEOFF BRABANT - Rockstar seemingly forgot about solo players. Confession time: I really hate playing with other people. Multiplayer-only games are an instant no-buy in my book, and even if a game boasts a significant multiplayer component, I feel that it should be able to stand on its single-player alone. Rockstar Games’ Grand Theft Auto V absolutely nails its single-player component, which features one of the most vibrant open worlds in gaming to this day (even though the game is coming up on its fourth year) and some of the most memorable characters of two console generations. I'm not the only one either, as the game has sold more than 75 million copies to date – so here I am scratching my head as to why the heck aren’t they making a single-player expansion for this thing? By LUDWIG VON KOOPA - Shooting the finest Canadian bacon. 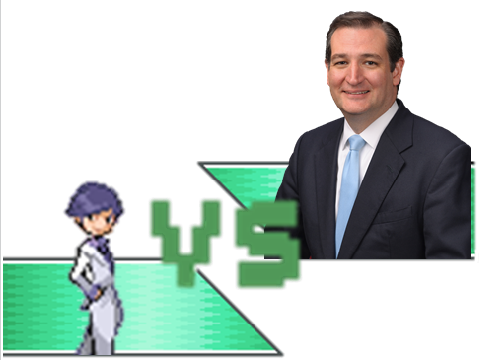 The article scheduling is going to let you see two very different situations: last week's strategy guide was on the very last minigame I developed for The Wonderful 1237, KoopaTV's awesome videogame pitting you against seventeen other Republican presidential candidates. You'll want to win more delegates than they get (1237 being the magic number), and each candidate's endorsement minigame is an important part of achieving that. By LUDWIG VON KOOPA - The Nintendo Switch has only been out for a month? It seems like the Nintendo Switch has been with us for a long time now, right? But it's only been a month. Here are my top three recommended articles from the previous month, in chronological order. You'll want to read these... and the other ten articles published in March, because they're all worth reading. Console Launch? On a School Day? It’s More Likely Than You Think! BREAKING NEWS: MOTHER 3 Virtual Console Release Imminent! By LUDWIG VON KOOPA - Coming out next week! Oh man. Oh man. OH MAN. IT'S ALMOST HERE. IT'S FINALLY COMING. After way over a decade of waiting... MOTHER 3 will officially be arriving out of Japan in the way of Virtual Console releases! Look! Look! It's on the ESRB's website! It's coming, guys! All those Content Descriptors must've been what took so long.